Everyone knows that a home’s price is affected by such things as its size and condition and the quality of nearby schools. There’s also the $50,000 walkable cup of coffee, the $100,000 view and the $200,000 backyard cottage. 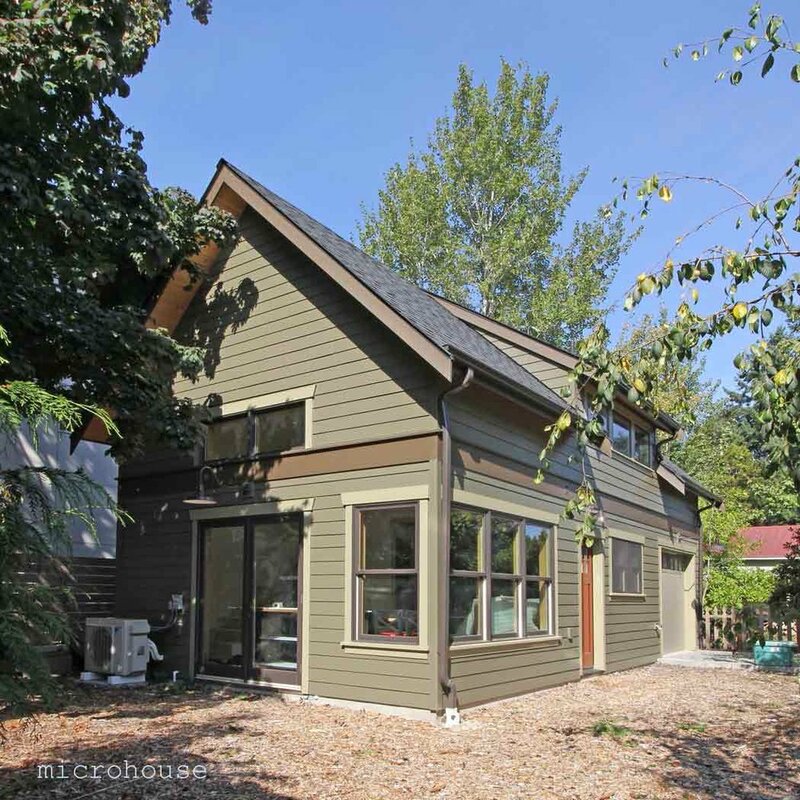 As in Seattle, backyard cottages are being built in Berkley in increasing numbers. In a recent berkleyside article, bay area real estate agents discussed the relative merits of various home amenities. Pricewise, an in-law unit or a tiny home can boost a home’s value more than any other element, agents said. “People love it when the house has a little separate cottage or in-law unit so they can accommodate friends and family who are visiting from out of state,” said Victoria Lynn Curtis, an agent with Better Homes and Gardens. "Workers who telecommute can use such quarters as offices, and artists can use them as studios; double-income professionals can use them to house nannies or au pairs. Or homeowners can rent them out, generating a tidy income". However real estate appraisers struggle with how to value backyard cottages and other ADUs primarily because there are simply not enough comparable sales to serve as a guide. Bruce Parker from microhouse and Stefan Hansmire were recently invited to participate in a panel discussion about backyard cottages during the Appraisers Coalition of Washington State conference. One topic of discussion was the use of backyard cottages as rentals. This trend has only increased in recent years as more people have become aware of and begun to use their cottages as short term rentals. Short term rentals provide a relatively high rate of return and cottage owners would like the rental income to be considered in the appraised value of their homes when seeking financing. However, most municipalities have owner occupancy requirements. In these cases, a lender or underwriter must asses the value of the home without income from an ADU because in the case of foreclosure the ADU must be removed before the house could be rented by the loan holder. That takes us back to the use of comparable sales to establish an appraised value. The contribution of an ADU to these valuations tend to be less than the cost of construction. This in turn makes construction loans harder to obtain for DADU construction. As a result, most home owners use cash or home equity to finance construction. The cost of construction varies depending on a number of market factors including the cost of materials and labor. The cost of building a backyard cottage has been increasing since the recession. Assessing the value of a cottage for those planning to build one, involves consideration of the many possible uses of a cottage over the long term. As discussed, many people use cottages as rentals. In this case, a careful consideration of the rents in your area and anticipated costs and expected rate of return can help you establish a working budget. Even when cottages are used as rentals, that is often only one of many planned uses. Ben and January's cottage in Magnolia is one example. They originally rented their cottage on AirBNB. Now that the cottage has been paid off, January's recently retired father has moved in and is enjoying being closer to his grandchildren and urban amenities. While it may be hard to put a value to how a well designed home makes you feel or the value of having a family member living nearby, some qualities are easier to asses. If that family member is an aging parent who would otherwise be living in an assisted living facility, it is relatively easy to look at the costs of local facilities. For others building a new cottage may be less expensive than remodeling their existing house to more closely meet their needs. For example, new cottages can incorporate universal design components to assist those with mobility impairments. Having established a realistic budget based on your needs and values will guide the many decisions that make up design process.